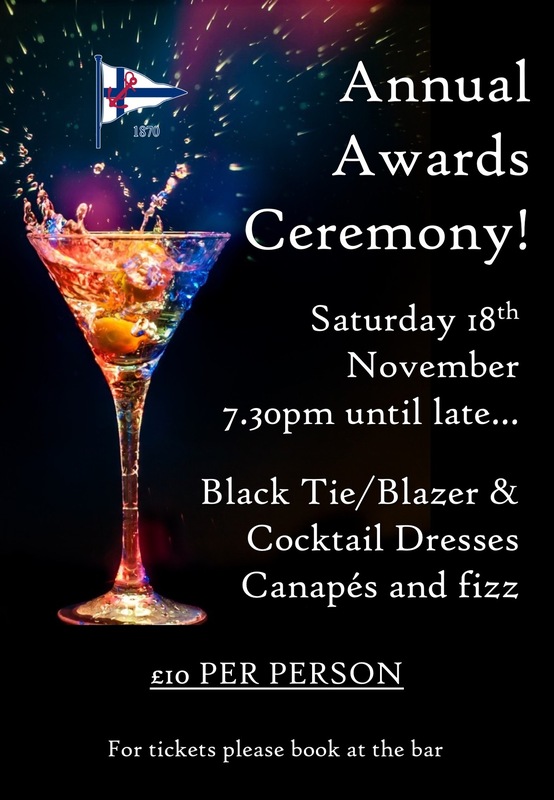 It's time for our most glamorous event of the year, our annual Awards Ceremony. Starting on Saturday, 18 November at 7:30pm, you'll be greeted with a glass of fizz, followed by canapés, and then it's the main event. Tom will be our MC for the evening. A reminder, if you won a prize last year, then please bring it back on Tuesday night nicely polished. We look forward to seeing you on Saturday night!